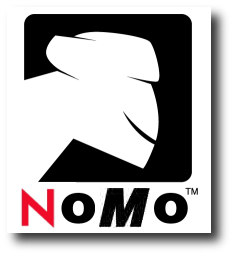 Is Mono Now Officially a Software Patent Trap? A few hours ago we mentioned de Icaza's very telling confession. He knows that Novell acted selfishly. He is also aware of the implications of using Mono (he knew this all along). One of our readers, Woods, had the following useful pointer to add. Note the defeatism. Elsewhere on the Web, in PC Authority in fact, Microsoft’s Novell-style and Novell-inspired taxoperability program receives a closer look. For a change, a respectable publication does not blindly praise Microsoft for opening up. It acknowledges that a patent trap exists therein. Microsoft’s patent pledge is perhaps more worrying. It has promised not to assert patent claims against developers working on open-source projects, but the cover does not apply to commercial distributors of those projects, so distributors like Red Hat are still very much at threat. In broader terms, it undermines one of the basic tenants of open-source — that the user can, within the licence requirements, do whatever they like with the software — since the user is only free from the threat of patent claims until they start charging money. Ultimately, Microsoft’s sincerity is in question, with many speculating that its true motives remain hidden. If Microsoft is genuine, only consistent good deeds will counter its history and silence the critics. Open-source pioneer and Novell Vice President Miguel de Icaza Thursday for the first time publicly slammed his company’s cross-patent licensing agreement with Microsoft as he defended himself against lack of patent protection for third parties that distribute his company’s Moonlight project, which ports Microsoft’s Silverlight technology to Linux. Speaking on a panel at the MIX 08 conference in Las Vegas, de Icaza said that Novell has done the best it could to balance open-source interests with patent indemnification. However, if he had his way, the company would have remained strictly open source and not gotten into bed with Microsoft. Novell entered into a controversial multimillion dollar cross-patent licensing and interoperability deal with Microsoft in November 2006. “I’m not happy about the fact that such an agreement was made, but [the decision] was above my pay grade; I think we should have stayed with the open-source community,” de Icaza said. He was speaking on a panel that also included representatives from Microsoft and open-source companies Mozilla and Zend. De Icaza shot back that it was “unfair” of Schroepfer to paint Novell as the only company protected by patent covenants, as many companies have signed licensing agreements not only with Microsoft, but also with other companies such as IBM that have a large patent portfolio. The choice has drawn ire from open-source diehards who were displeased with Novell’s decision to sign a cross-licensing agreement with Microsoft in the first place. A Web site called “Boycott Novell” decried Moonlight as a Microsoft “pet project” and criticized the company’s decision not to port Silverlight to Linux itself. This article ought to reach other news sites fairly soon. EeePC 900 vs HP 2133: Which Linux UMPC Will You Buy? Cybercriminals to target Beijing Olympics?